Dr. Derevensky, Professor in School/Applied Child Psychology and Professor, Department of Psychiatry at McGill University, is Co-Director of the International Centre for Youth Gambling problems and High-Risk Behaviors, and holds multiple adjunct appointments at several universities. He is an internationally recognized scholar in the area of adolescent risky behaviours and gambling. He has been the author or co-author of three books, over 40 book chapters, in excess of 100 peer-reviewed scientific papers, and has been the keynote speaker and has presented over 200 presentations at national and international conferences. Dr. Derevensky has been invited to testify before numerous legislative committees in the U.S., Canada, Europe, South Korea, Singapore, Australia and New Zealand. As well, Dr. Derevensky and his research team have developed multiple award winning prevention programs which are currently being used internationally. 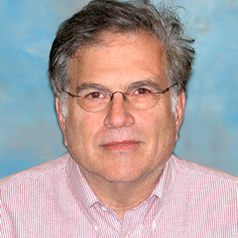 He has been the editor, co-editor or on the editorial board for numerous journals and is a frequent guest reviewer for articles for journals in the field of neuropsychology, psychology, psychiatry, education, and prevention science.